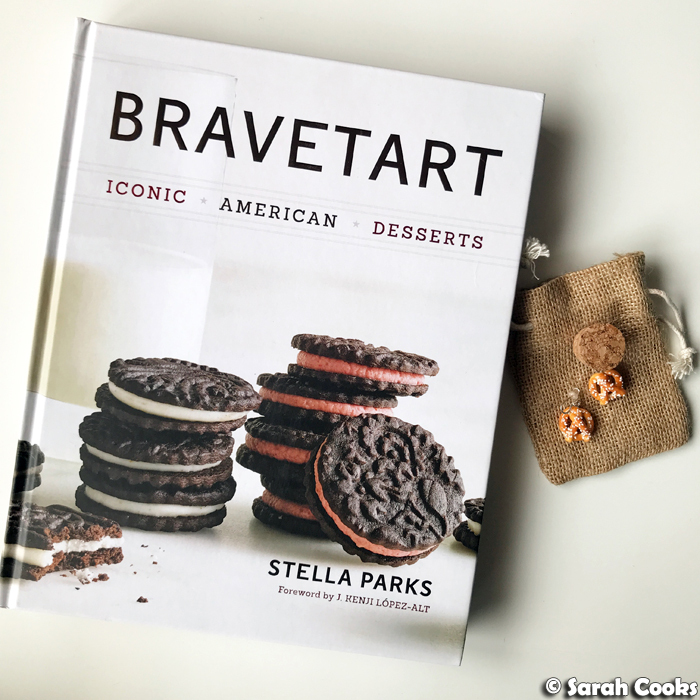 I am currently super obsessed with the recipes of Bravetart (AKA Stella Parks). For those of you who don't know her, Stella is an amazing pastry chef, cookbook author, senior editor at Serious Eats and general dessert wizard. I was thinking of including my obsession with her recipes in one of my "Current Obsessions" posts, but I really just wanted to babble on in detail, so she gets her own post. She is that awesome! Stella's focus is American desserts - think layer cakes, buttercreams, marshmallows, cookies, ice-cream, ice-cream sandwiches, even Twinkies and sprinkles! She takes a really rigorous, scientific approach to her recipes. Often when I read recipes, my first thought is "how can I adapt this to suit my tastes and my kitchen? ", but with Stella's recipes, I don't bother thinking of adapting or changing them - every ingredient and step in the method is there for a reason. Like my previous obsession with Fuchsia Dunlop, and Queen Nigella Lawson before her, following Stella's recipes is teaching me how to cook, teaching me new techniques, and increasing my understanding of how food and recipes work. It's been so much fun making so many of her recipes! I have her book, I follow her on Twitter and Insta (her "behind-the-scenes" Insta stories are really inspiring, and she often replies to you if you tag her in something! ), and I absolutely LOVE her articles and recipes on Serious Eats. The first recipe I made of hers was her Super-Thick and Fruity Food Processor Whipped Cream from Serious Eats, which basically kicked off this whole obsession. I made it as an accompaniment to my birthday cake in 2017, and I've since made it again, for my chocolate passionfruit layer cake. 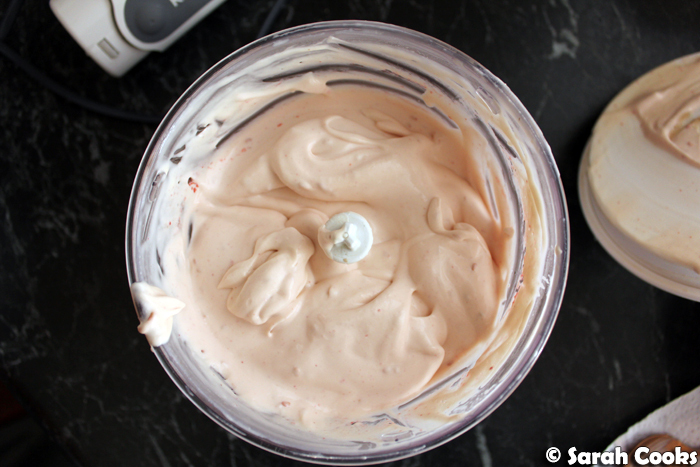 It's such a simple recipe - freeze dried fruit, sugar, and cream, whizzed together in a food processor - but it yields such a great result of a super-stable, long lasting, lusciously thick, and intensely flavoured cream. I also loved that she explained why it works. In short, the freeze-dried fruit powder absorbs excess liquid in the cream, preventing it from weeping over time. Whipping it in a processor (rather than using a whisk) means it gets thick without incorporating lots of air, so it's less likely to collapse over time. GENIUS. After making the passionfruit cream in October, the obsession really kicked up a notch, and I ended up making six different Bravetart recipes over November and December! Literally any excuse would do - last day of work for the year? Better make a cake for my team. A free Sunday with no plans? 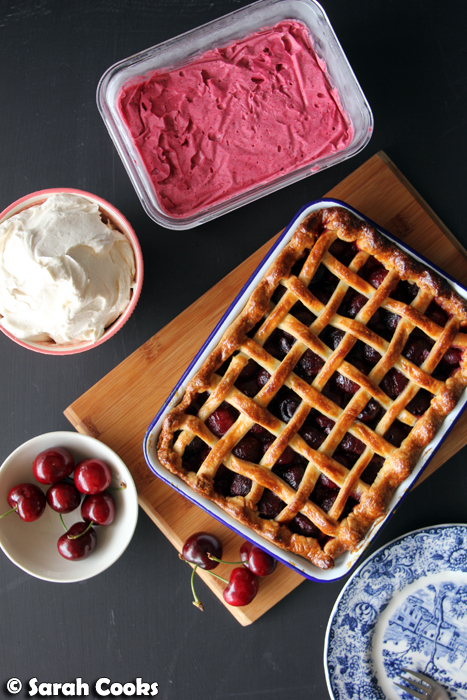 Why not make a pie and add Bravetart's cherry ice-cream, and cherry pit whipped cream? Phew. The next recipe I made after the passionfruit cream was chocolate chip cookies, which uses chopped chocolate rather than chips for a better flavour and texture, a hint of nutmeg to enhance the buttery flavour, and a cold egg to prevent excess spreading. I'll be perfectly honest - these cookies were good, but they weren't my favourite. I personally found them too sweet and they were more chewy than the slightly cakey-crisp texture I prefer. 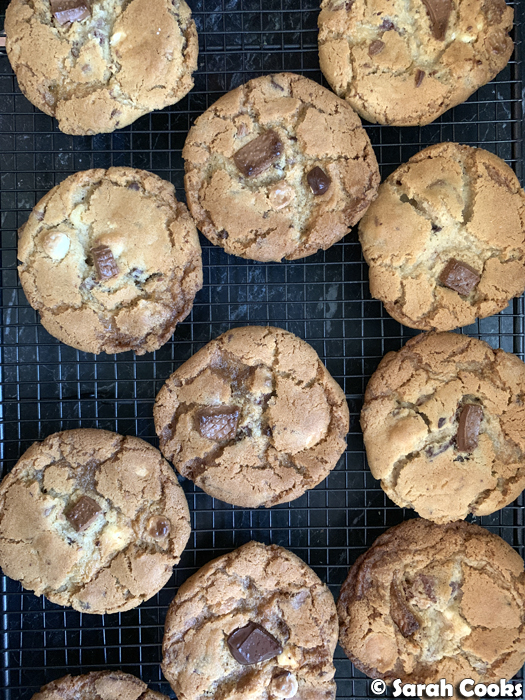 I'm glad I tried these, but in future I'll stick to my favourite chocolate chip cookie recipe (David Lebovitz' chocolate chip cookies). Having said that, I took them to share with my coworkers and they got rave reviews. In fact, my colleague Abey declared them the best chocolate chip cookies he'd ever eaten, and asked if he could take some home for his wife! Ok, so if I was ambivalent about the chocolate chip cookies, I was absolutely enamoured with the next recipe. 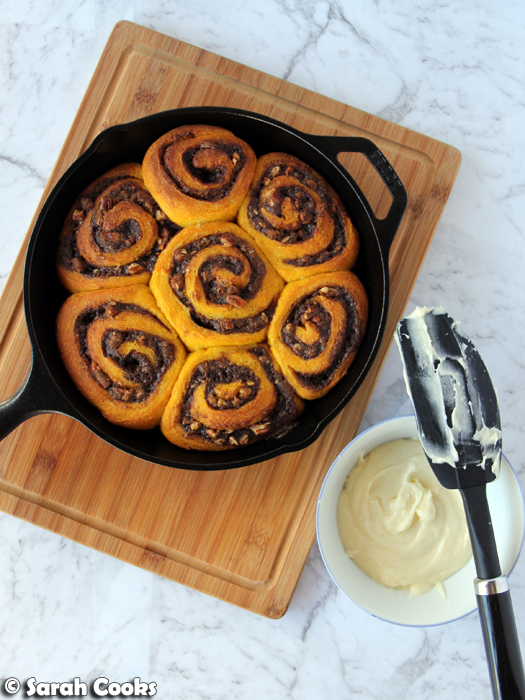 I made Stella's yeasted pumpkin bread dough, but rather than making it in a loaf or as dinner rolls, I turned them into cinnamon rolls (using a very lightly adapted version of the sugary pecan filling from her overnight cinnamon rolls). Oh my goodness, they were INCREDIBLE. After they came out of the oven and I'd covered them in cream cheese icing, I tried one, and it was literally the best thing I'd ever baked. The dough was so soft and fluffy (which can be a hard thing for a home baker to achieve), with a great contrasting crunch from the pecans, and the spicy-sweet flavours were just perfect. I'll be posting the full, amalgamated, recipe soon, because the rolls were perfection, and I don't ever want to forget how I baked them! The only ingredients are cherries, sugar, and cream, with a little salt and some lemon juice. The magic here is in the techniques. To make this ice-cream you're roasting cherries (with the pit in, for extra flavour) and sugar, then pitting them. You cook the cherry pulp on the stove to concentrate the flavour and remove excess water (making the resultant ice-cream less icy), then press the cooked cherries through a sieve to extract intense cherry concentrate. You steep the pits in some cream (again, for extra flavour). 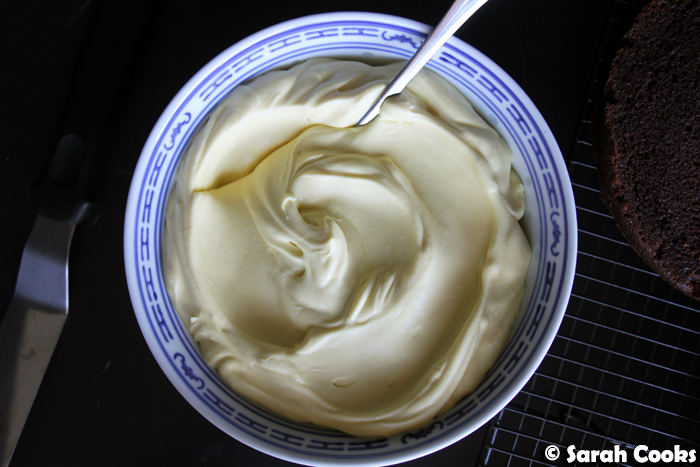 Then you combine the cherry concentrate and cream, and churn it in an ice-cream maker. 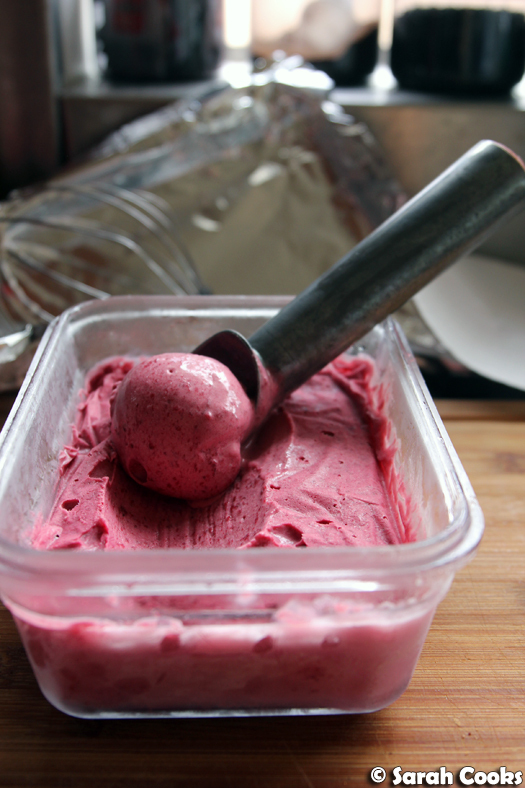 The result is an intensely flavoured and creamy cherry ice-cream, made of those five simple ingredients. Didn't I tell you she's an absolute genius? 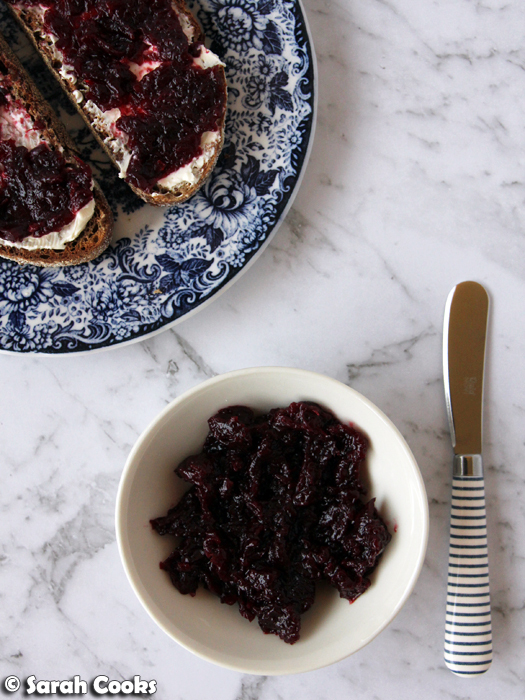 The leftover cherry pulp can be jarred and eaten like a jam. It's delicious and I've been having it on toast with cream cheese! 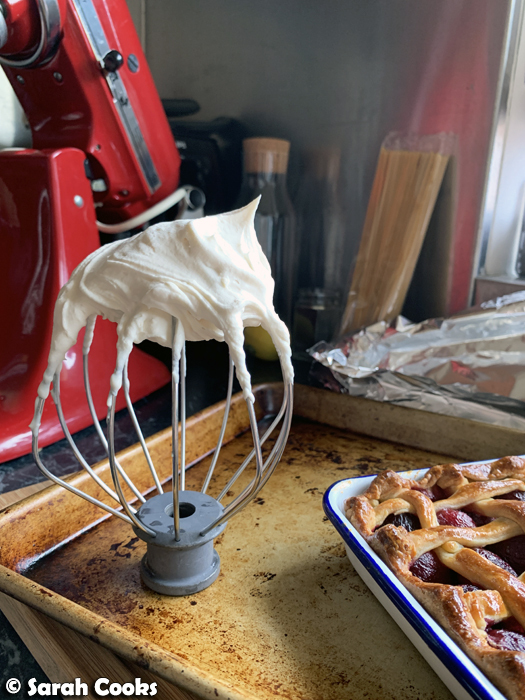 With the cherry pits, you obviously steep them once for the cream that goes into the ice-cream, but apparently "they still have plenty of flavour left to give", so I made a batch of her cherry pit whipped cream as well. You just steep the cherry pits in cold cream overnight, then strain and whip with a little sugar. This is a clever idea, which I imagine comes from Stella's background as a restaurant pastry chef, where you'd have to really keep any wastage to a minimum. It makes a subtly flavoured, pale pink and fluffy cream. Perfect with a cherry pie! This day was just cherry madness and I loved it! Ok, last recipe! (For now). 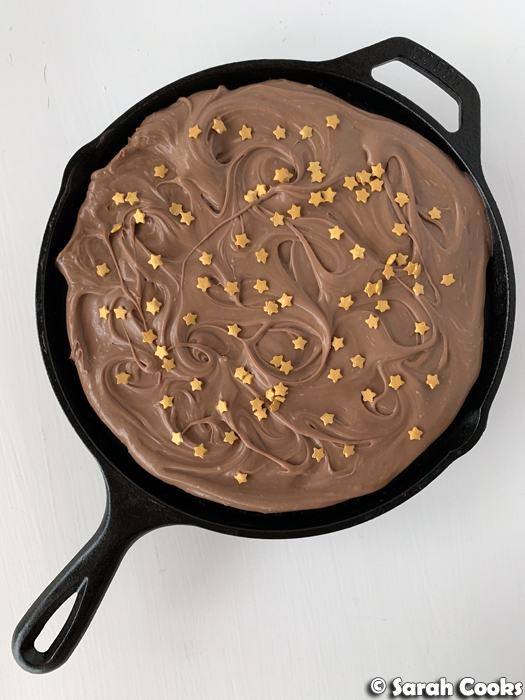 Chocolate skillet cake with milk chocolate frosting! 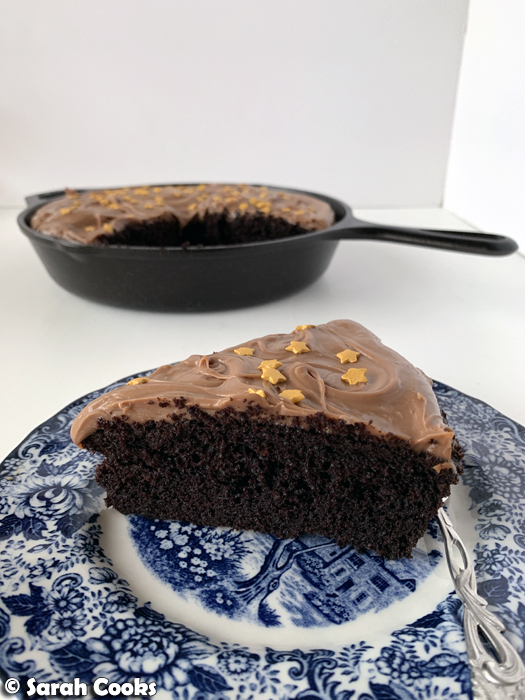 This is essentially a scaled-down version of her devil's food cake, which can be made and baked all in the one skillet. (And indeed, I actually decided to buy a cast iron skillet in October last year after seeing them all the time in Stella's recipes). This is a simple and delicious chocolate cake, all dark and fluffy and moist and soft. The milk chocolate frosting is super easy and really delicious too. It's a really nice low-key cake, great for a weekday dessert, afternoon tea or just to treat yo'self. Although I wouldn't turn down a slice of this cake for a celebration or a special occasion! (The gold stars were a Sarah touch because FABULOUS). So those are the recipes from Bravetart I've made so far! Are you a Stella Parks fan? Have you made any of her recipes? What should I make next? I'm thinking Nutter Butters, the full-sized Devil's Food Layer Cake, maybe even marshmallows! I hope she sees this! I hadn't heard back about her before but now I feel like I know so much lol. I need to try that processor whipped cream! Oh you must! It's sooo good! And you can use it as a cake icing too! I love sweets, a want try a cookies. Chocolate chip cookies are my favourite!